With 5 young children to homeschool, to say my time is limited would be a massive understatement. I spend most my days hopping from child to child, hoping that I am fitting everything in and barely having time to have a break to eat something or go to the bathroom. They all need me… all the time. I have tried group studies, I have tried all-in-one curriculums, I have tried teaching them all together but none of it works for us. There are constant interruptions from the kids who get frustrated with waiting for me and I can feel my anxiety levels rise every time I’m interrupted yet again. After identifying my children’s learning styles, I realized that there is just no way I can persist in trying to group them into one homeschool approach that is torture for half of my children. I HAD to adapt and personalize our studies. Which meant: more of me and more time. As I have learned more about the different homeschool styles, I have found a new set of values that I admire. I love the idea of unschooling, project based learning, Montessori and Charlotte Mason. In my head I have this grandiose vision of what homeschooling can look like and I want it! But every time I try to put it into practise I hit a wall. Because (rudely), my kids don’t really care about my version of a “perfect homeschool”. Some of my kids require more time, some require less. Some cannot sit still for the life of them, and others learn best by listening to me read. I try–and fail to impose my will, to make one thing work… and yet here I am. Finding curriculum that combines my values with my intense shortage of time and my children’s individual needs is, well, impossible. Frankly, I am tired. I am bone weary of trying to make my kids listen or make a curriculum work or being disappointed that it isn’t working–again. Until I found The Good and the Beautiful. We have been trying this program out for a few months and I have been BLOWN away! It brings in so much of the approach that I admire (Charlotte Mason, hands on, experiential learning) with an open-and-go style. I don’t have to prepare or research. All I have to do is follow the lesson plan. I can’t even tell you guys how much I have missed the structure and peace of mind that comes with a lesson plan! So what exactly are we using? It all started with LA. We took the placement test and found where our kids should be placed (shocker, right? My kids aren’t working at their “grade levels”). My preschooler is 4 years old. Though she will be starting Kindergarten in the fall, she is not ready at all. My philosophy is to not push my kids, but rather to take my queues from them (for the most part). She is SO keen to be a part of our homeschool experience. Although I know she could wait, we decided to try the Pre-K program with her and just do it with no pressure or expectation. We will likely repeat it again through the summer if we need to. It has a course book, 4 flip books, as well as a bunch of games to play to reinforce the lessons. She LOVES it! She gets the first 30 minutes of my homeschool day. My 5 year old is thriving in the Kindergarten program. She begs me to do her course book each day. I work with my 5 and 8 year old at the same time, alternating between independent work and helping them. It’s a bit of a juggling act, but it helps me get more accomplished in a shorter amount of time. The program is incredibly in-depth, building a strong foundation of spelling, reading, and writing skills all in one open-and-go program. My 8 year old is working in the level 1, even though he should technically be in grade 3. For me, it is far more important to build a foundation and confidence than get bogged down with levels. His reading is improving drastically, even in just the few short month’s we’ve been doing it. He loves that the handwriting has coloring and drawing and enjoys studying the art in his course book and is building his art appreciation. My ten year old son is working in the level 4 course book right now. His favorite is the art aspect, though he doesn’t mind working in his regular course book either. He is fairly self-motivated and he can do nearly all of his work independently (which is a lifesaver!). He saves his challenging words to work with me, I quiz him on his geography cards and he often has poetry or something assigned to read to me. But otherwise he generally works on his own so that I am free to work with the other kids. We’ve also been trying out a science unit this month on the Human Body and it is so much fun! Every lesson has hands on experiments built in, coloring, reading, and extended activities and books to use with it. If I don’t have the supplies for the experiments on hand, we can easily skip it and do our lessons mostly through reading together. Though I do find the experiments make a huge difference as far as retention and mastery. The kids have all been really enjoying the science unit. We alternate science with history and do them as a group lesson with all the kids as part of our morning basket. In case you weren’t aware, the all or nothing in me really likes to just dive in so we are also trying the history program. I LOVE it! The audio recordings are so well done and the read alouds are high quality literature to read together. The kids are creating their own student binder with sheets they have coloured or projects they are working on and they all love the lesson content! Why are we sticking with it? So many of you guys have been asking me to do a comprehensive review of this program, and more details are coming in the next few months: live videos, inside pictures, the whole shebang! I wanted to make sure before I started sharing about it that it was, indeed, a good fit for our family. Now that we have been using it I really can’t say enough about it! What really sets it apart is the quality of the materials, the values written in to every lesson, and the open-and-go ease for homeschooling. As a Christian homeschooler, I haven’t found one single reference or point of concern as it is denominationally neutral (using the King James Version). The books and reading materials are amazing, and it is an incredibly affordable option that covers all the bases for families! The LA program alone incorporates phonics, reading, writing, spelling, literature, grammar, punctuation, art, and geography! The only thing you have to add to make The Good and the Beautiful your complete curriculum provider is math, and they have that coming too! What level would you want if you won? Me too! I will have to check out the typing for sure!! I’d love to win he level 2 curriculum! Level 2 for me too! I would love to win Level K! Level one LA and level two handwriting. We are finishing the primer and will start K and level one handwriting in March. Pre-K is the one I want! Level 2 o r 4! I would love level 1 for my daughter! I would love to try Level 5. I just started homeschooling my three children! I would want to try level 4! I’ve heard such great things about this curriculum! If we won, we’d love Level 3! I have been eyeing this curriculum and love that you are reviewing it! I would love Level 2 Language Arts and have been eyeing the History Curriculum as well! Would love to win kinder! Wow! What an awesome opportunity to try out new curriculum! I would choose level 1! Thanks for all you do Rebecca. I’ve been considering trying this curriculum for awhile now! I would choose Level 2. I would choose level 1. I believe this could be an amazing fit for myself and my daughter. What an awesome option. I love the look of this program. Anything that incorporates art and reading will be loved by my 6 yr old daughter. We would love to try Level 1. I am so excited about this curriculum and I cannot wait to see more of your reviews in the future! I would choose level 1. I just started with level K and it’s going well so far. My daughter would love the pre-k one!!! I’d like to try level 5! If I won this set, it would definitely be level K! Thank you so much for this. I would love to win level 1. I would pick level 6. We use their science and love it!! We’ve been using this for a couple months and love it! I’d love to win a set for next year! Just got the level k primer, and my boys are loving it! We are ready to move into Level 1! 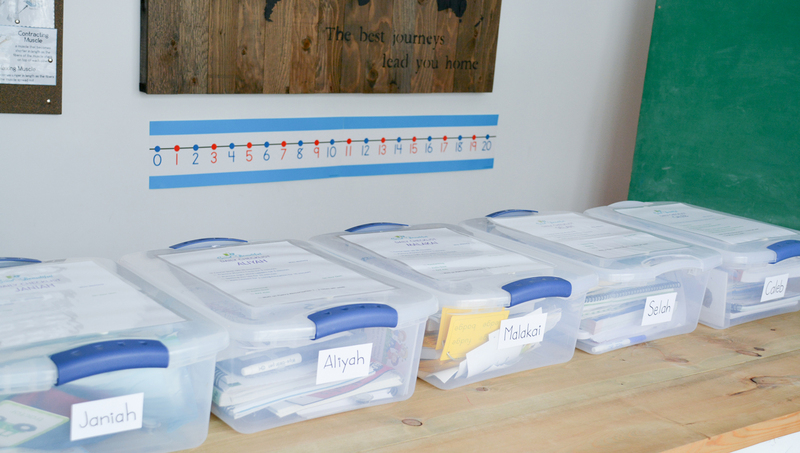 I have been using this curriculum for a few months now and it has changed our entire Homeschool day! I feel like it’s what I’ve been searching for but never really knew existed! It truly is Good and Beautiful!! I would love to try level 3 or level 6! Would love to win!! Such a great program! I’d love to win this curriculum! It looks amazing. Thank you for doing a review. I would love level 5!! 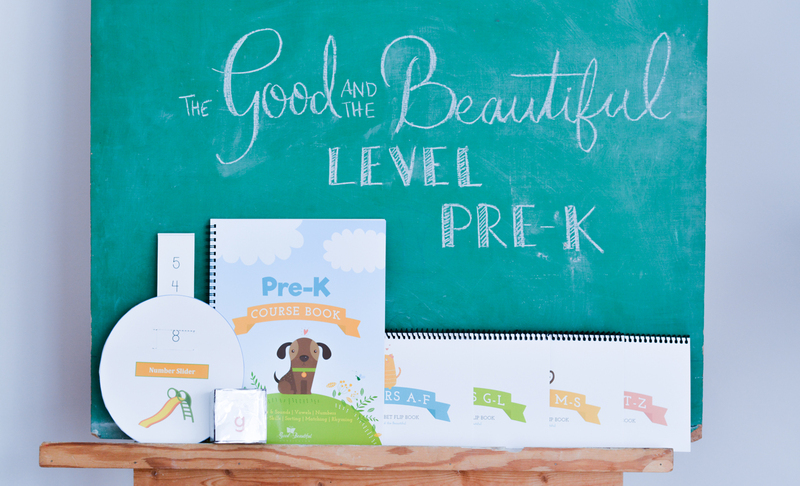 I would love to try the pre-k level for my son! I started using TG&TB last year with my 4th grader. We zoomed through level 3 and are on to level 4. He has never been so happy to do his work since homeschooling in 2nd grade. I wish the math would be available for him as we are all in using science and history as well. Would love level K for my younger son!! What an amazing giveaway! I would choose Level 4. I would love to win level 7! I would LOVE to win LA level 6 for my 8th grader! Level 2! Thanks for sharing! Going to look into the science for sure! I would love level 3! I would want levrl 1. We just started kinder level and absolutely love it! This looks amazing!! I would live level 2! I would love to win level 1 for use with our daughter in grade 1 this fall! We’d love to try level 3! Thank you for this wonderful opportunity! We would love to try this curriculum! I think we would probably be level 1? I’d like Level 1! I’m so excited about this curriculum — I had never heard of it before. Level 1…thank you for the opportunity! We have started TGTB LA with my 8 year old and 4 year old. I also got the Human Body unit and History 1 to start too. I want to get the handwriting books. I would want Level 2 to start with my 8 year old next! I would absolutely love for my 8 year old to try this! It looks so well done! Thanks for sharing your journey with us. I would choose level 2, we love The Good and The Beautiful!! We would begin with level 3 – this truly seems like some amazing curriculum. My daughter and I looked over the website together and the various items and it looks like school could be fun again! I would choose level 4! We would love level 3! I would try level K! I have been SO anxious to get Language Arts level 4 ever since I discovered it about a month ago. I absolutely love the artwork in it and especially love the idea of fitting 7 subjects into one program. I would love the K primer level! I would love to get level 1 for my son!!! It all looks amazing! Level 1 and level 3. I have been SEARCHING for a LA program to fit our family. So far nothing we have tried has been a fit. This looks amazing!I would LOVE to try level 1. I don’t know how I would choose! They all look amazing. I would probably get K and then buy a level one for my son! I would pick level 3. 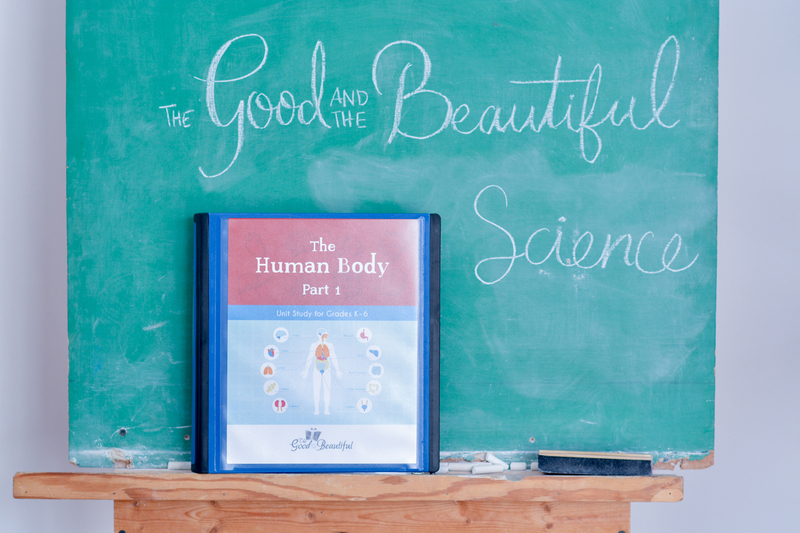 I have loved all your curriculum reviews and then I started ogling “The Good and the Beautiful.” I’m so excited to see you review it and can’t wait to see your videos! I’m going to have two preschoolers and would love to win the pre k language arts level as well as level 1 of typing and handwriting! We love The Good and the Beautiful!! I would want either level 3 or level 6 if I won! I would want to try Level 1. So exited for this giveaway!! would love to try level 4!! been on the hunt for new curriculum havent been able to find one i really like and this one definitely looks promising!!! Level K or Level 2!!! We have been using the Language Arts for a while and now have history and some science on the way. This has definitely been my favorite curriculum by far, and is a wonderful fit for our family. I just found out about this a few weeks ago! Thank you Rebecca! I would love to win level 1 or level 3 or level 7 languages arts curriculum! It looks amazing! I wouldn’t try level K for my rising Kindergartner! We would love to try level 1! Have been eyeing this program and really excited about it! Level 3 for me! 🙂 I have heard great things about this curriculum and would love to try it. I would love to win level 6! Looks wonderful! I would love to try a level 3! Level 2 !! Such a great giveaway! The levels 1-5 LA are free to download, but to get all three offers in print is such a great thing! I think level K would be perfect for my son! He strives to be a fluent reader like his older sister, and I believe this curriculum could get him there. This looks like a great curriculum! I’m really interested in language arts 2 or 5! I love how there is so much in just one book! Very interested in checking this curriculum out! We are wrapping up the kindergarten level. We will be moving on to the 1st grade level next. Can’t wait! I have two kids so it would be level 3 or 5. I’d love to get level 3!! I would love level 5! We just started homeschooling and I would never think go get them placement tested. I would like level 1. I would love to try Kindergarten!! This sounds amazing 😀 and makes learning fun. I think we would need either Level 2 or 3, depending on how my girls do on the placement test. I’d love to try level 2 for my daughter. We have been looking at this curriculum for a few weeks and I think we are going to give it a go! I would love to try level 1 or 2 for my 7 year old! We’d LOVE Level 3 ….. since it was so expensive to ship to Canada – and with the exchange rate – so we downloaded the pdf and had it printed. It would have cost $150 for colour so just got the black and white for $36. Would so love to be able to afford ordering all the books – they look so nice in your photos! I’d love to try level 1! We started level 3 this year and love it… I’d love to win level 4!! Love a level 4. Currently using a shared level3 for all four of mine. We started the PreK level with our 4 year old in much the same spirit you are doing it with yours. It is a sweet curriculum. I would be torn between choosing the K level for him to grow into of Level 1 for our grade 2 twins who right now are doing a blend of Sonlight 1st grade, all about reading, explode the code and a reason for handwriting. It would be so nice to combine all those things into one. QUESTION: are you incorporating Brave Writer and grammar galaxy into this or have you dropped them? I used Pre-K this year which we loved, and am using levels 1 and 3 with two of my children. I would love to have them in hard copy instead of printing. So I would pick level 4 for next year. I love these all inclusive programs with so much literature. Level 4 for my two kiddos. I have been eyeing this curriculum for a little while now, and have discussed it with friends. Thank you so much for doing a review on it! I would choose Level 3. I would like to use Level 2 of LA 🙂 I would love to have the Nature journal and creative writing journal sometime as well. I would love Level 4! We are starting K with my middle this month! Pre k!!!! I would love this!!! Wow, looks so so great! We would love to try level 3! I would be so grateful!! I am looking at purchasing levels 2, 1 and kindergarten primer. I would love to win level 2. I’d love to try level 5! I would choose Level 1 for my 6 year old son if I won the giveaway! Would love to try levels K primer, K, 5 and 6. Just finished testing all the kids! This assessment is wonderful! I love The Good and The Beautiful. I’m using it with all 3 of my girls. I would love level 7 for my 9th grader. I would love to try the Pre-K! Interested in approx Grade 2 level. Love Christian curriculum! I’d love to try Level 2! I want to try level 4! I’m really wanting level 5!!! This is such a wonderful curriculum! I would choose Level 5 LA. I have a preschooler, Kindergarten and 4th grader. I would like to have something to meet those levels. I would love to try out Pre-K… I have looked into it and I so want to try it. I’d love the pre-K book or Kinder!! 🙂 Thank you for doing this giveaway! I would love level 1!!! I would choose level 9!!! We would love to try K,or 6! We would LOVE Level 4! I LOVE the Good and the Beautiful! I would love the Level 2 LA! Thanks for the giveaway! I would like to have level K LA for my daughter. I would choose level 1! I would love to use level 1. I would choose level 2! I would try level 3! I have decided to homeschool my children this next school year and am highly considering TGTB for many things. It would be so incredible to win the LA program! I would need Level 4 and Handwriting 6. Thanks so much for the opportunity!! We love the good and the beautiful! Thank you so much for this review. We would choose level 5! Love Good and the Beautiful! I would choose Level 4! I would love the Kinder level! I am planning to use this curriculum next year. I have heard so much good about it! We love The Good and The Beautiful! We would love to win level 2! I’d be ecstatic to win the pre-k level for my middle son! I am beyond excited about this new curriculum! I am searching for something for my son who will be starting Kindergarten next year! This seems like it would be a wonderful fit for him! We would love to win this giveaway! Thank you HomeschoolOn and The Good and the Beautiful for this opportunity for all! Any!! History, Science, and language arts!!! Thanks Rebecca for doing this and Jenny!!! I think I’d want Level 1, but I could possibly want the K. I’m wrapping up our current K curriculum that I do not like and we’re doing TGTB K to get ready for TGTB 1st. This was our first year homeschooling (10, 8, and 5). I have learned SOOOOOOO much from your blog about how they learn and what approach I want to take next year. A friend JUST introduced me to this curriculum last week, and it seems like such a good fit. I look forward to your videos and such about it. …I have to test my kiddos to see which level we would want. I’m going to need 3. I would love to have level 2! We are going to be using this next year and most likely would need two levels to get gaps covered while still challenging! Not having to purchase both would be such a blessing! Level 2!! We have loved using the good and the Beautiful! Man, this looks amazing! My friend and I have been checking it out and looking for reviews. I would either get Level 1 or Level 6. I have both! I would try grade 1. Level K would be such a blessing for our family! Thank you. Level one looks perfect for LA. Probably level 4 for handwriting. I’m so excited about this! Level 1! We are using Level K this ear and loving it! We LOVE the good and the beautiful! We use the level k for my son and I cannot wait to get the next level! I would love level k! I have a 3, 6 and 7 yr old. So anything under level 2! I would love to try level 5! We LOVE LOVE LOVE LOVE LOVE TGATB!!! We would definitely go with the Kindergarten curriculum for our son. He is currently using the Pre-K (I am about to order him the primer Level) and our daughter is using the Level 1. They’re both in school and we do these when they’re home with us. I so wish I could homeschool them full-time, but for now, I am so thankful for the affordability of this curriculum so that I can still supplement their education with the good and the beautiful. Level 4! What a tremendous blessing this would be!!! I haven’t won a giveaway in my entire life and this one would be the one to win! 🙂 we already use this curriculum and would love to win either level 2 or level 4!! Love the Good and the Beautiful!!! I think I’d choose the typing. We are currently using Level 1 and really like it. We’re looking at level 1 already, to have a hard copy would be awesome! Thanks! I would love level 4, or level 3. I have 2 boys and these are the levels we will need this coming school year. I love The Good And the Beautiful, it’s just lovely! I would choose level 4. Level 1 looks perfect for my son! Would love to win! I would pick level 1 for my son or level K for my daughter. I would choose Level 1 for my son. And thank you so much for taking the time to give us such great feedback on The Good and The Beautiful! We need more uplifting books for teens! I would choose level 7. We just started Level 1 with my daughter and we are so impressed by this curriculum! If I win, I will choose Level 2, because we will definitely continue using The Good and The Beautiful! If I win, I would choose Level K or 5…looking forward to next year and those are our next levels!! Thanks for the opportunity. Such an awesome giveaway and company! Question. I’ve seen you post a lot about how much you love Brave Writer and Math Lessons for a Living Education. Are you now using this instead of those or in addition to them? Can you tell me your thoughts in comparison? Also, for LA, does this use American English? I know you’re from Canada, so I was just curious. Thanks! Thank you for sharing your story! We are just starting to homeschool our oldest, so we would use the Kindergarten curriculum this fall. I’ve spent a lot of time trying to research and find the “right” curriculum for my kids. Honest reviews like yours make the search a lot less stressful! I would go for Level K or Levels 2,3,&4 (4 kiddos here!). We LOVE TGTB! It has made such a huge difference in our school day! I would choose level K for my 5 year old. We are using the pre-k right now and love it. I feel so blessed that this program is an option at the beginning of my homeschooling journey! We currently use the Language Arts for Kindergarten so I would love to win level 1! We have struggled as well getting settled into a routine. I have lofty homeschool dreams but this has been so much easier for him and my sanity! 🙂 I can’t wait for the math curriculum to come out! I have been wanting to get this curriculum and would love level 5! I would use levels 1 and 2 for my older kids! We’ve enjoyed using their handwriting program and would love to try more of their products. I have, like others, been eyeing this curriculum and I would start with level 1. I’m also interested in the history and science curriculum. I would love levels K, 3 or 6. I would get the level 1. We have been using this curriculum and LOVE IT! It’s so easy to follow and teaches the kids great values! Hi! I love The Good and the Beautiful! I will be looking to use level 7 and High School 1 for next year. Thank you for reviewing TGTB and giving us a chance to win a level. We’re currently using LA level 6, Typing 1, and Handwriting level 5. We love it, and I’d love to win LA level 7, Typing 2, and Handwriting level 6. I have a middle schooler. I think level 6 would be best for him. He needs some extra work in LA especially. I plan on buying levels k and 5 for the fall, so I would pick one of those! 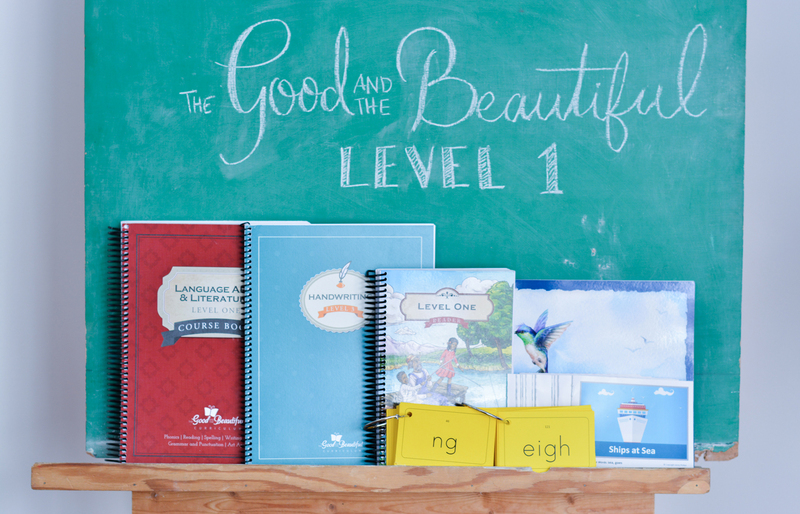 I am planning on purchasing level one for our curriculum this fall…it would be such a blessing to be able to win it! So I would get level 1. I would choose Level 6! I would LOVE Level 2! I cannot believe how awesome the Language Arts program looks! I am seriously considering changing our curriculum mid-year! KINDERGARTEN!!! My favorite year to teach!!!! I love the pride in their eyes when they learn to read. I haven’t tried this curriculum for a beginner… I WOULD LOVE TO!!! How nice of y’all to offer!! I’d love to start with pre k or level 4. I’ve been looking for something different for my 4th grader and something to start my 3 year old with. 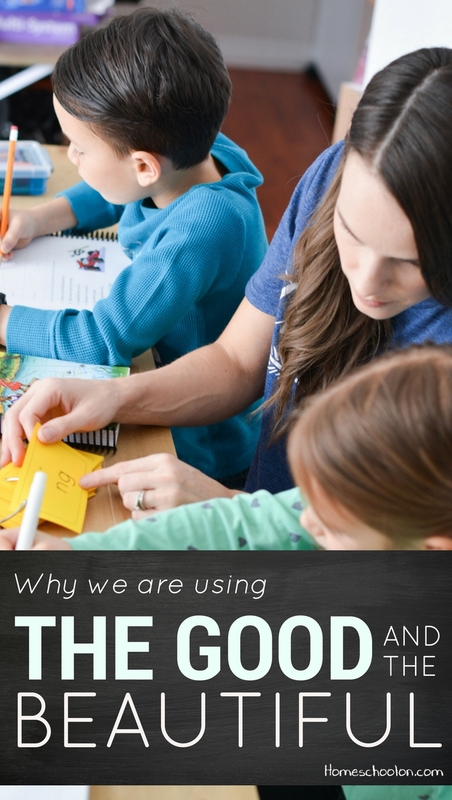 We use the Good and the Beautiful with our currently homeschooling 3rd grader and love it! We use the handwriting and human body science as well. If we won, we would choose level one or two for our 1st grader who will begin homeschooling next year. We also plan to begin their history unit next year. Love your review! I would love level 5. 🙂 Thank you! Would love to start this curriculum with my kids in the fall! Would choose either level 4 or level 2! Great review! I would love the Level 5 set! Thank you! The good and beautiful had such a good feel about it! I would choose k or level 1. I would love to have Level 3. This is truly a good and beautiful curriculum! I would get level 1! Level 1 we were planning to use this curriculum and we’re just starting out!! Thanks for this opportunity! I would want level 3. Love this curriculum. Level 4. I have just started using level 3 and I have finally found a LA program that I love! I would love to use Level 4 t year with my son! I am still trying to figure out what level my kids need to start on but it would probably be level 4, 5, or 6! I would love level 3! We just started looking into this program and can’t wait to try it out! We have used the pdf version of level 1 and love it! If we won, I’d love level 2! We are currently completing level 5, so I would choose level 6. I would do the kindergarten level! Level 3 or the History Curriculum would be my pick! I would choose either Level K or Level 2! We would choose level 1! Level 4! Thanks for the giveaway! I would love to try the K level! We have been using this curriculum this year. We are really enjoying it and I would order the next level for one of my kids if we won. I’m currently doing pre-k, level 1, 4, 5, and 7. I would love to win and get any of the next levels my kids will be going into. This is the best LA program I have ever found in my 12 years of homeschooling. We would love to try level 5 or 6! I would love to try this, thanks! Perhaps level 4! We have TGTB level PreK and K and we have been so impressed! If we won we would love level 1! I would love the level 4! This is great!! Level Pre-K for us! We would love to win! We need level K and probably level 1. I’d choose level 5 or the primer level! Level K. We are doing the primer now and love it! We would use grade/ level 1! I would love to try level 4! I would love High School or High School Honors courses, but if the course has to be available now, I would like LEVEL 5. This is an awesome Give-A-Way. I’d love to try Level 7 with my daughter next year! I have definitely been eyeing this curriculum and coming back to it. I think it might be a great fit for us. I think we would use level 2. I would love level 2! Thank you for doing this giveaway! We just started using this for our 4 school age kids and our preschooler will use it next year. We are currently using Level K, 1, and 3 and would love to get Level 4 through this giveaway! I want to try the pre K program with my four year old this summer. Finishing up the Pre-K!! Would love the kindergarten levels!!! We are using The Good & The Beautiful for the first time this year and we LOVE it! We will absolutely using again next year. We’d LOVE to get the Level 2 curriculum! I would like level 3! We have been using the science curriculum and my kids love it! Were are thriving with the Good and the Beautiful language arts! My oldest is finishing level 5 starting 6. Want to try level 1! We would love the pre-k course! My son is 4 and I’ve struggled to find a curriculum I love. I’ve had had my eye on this one for a while now! We would try level 1! Level 1 would be great to try! I’d love to try Level 2 LA. I would love to try level 1 for my daughter. I’d love to have pre-K to use with my son. 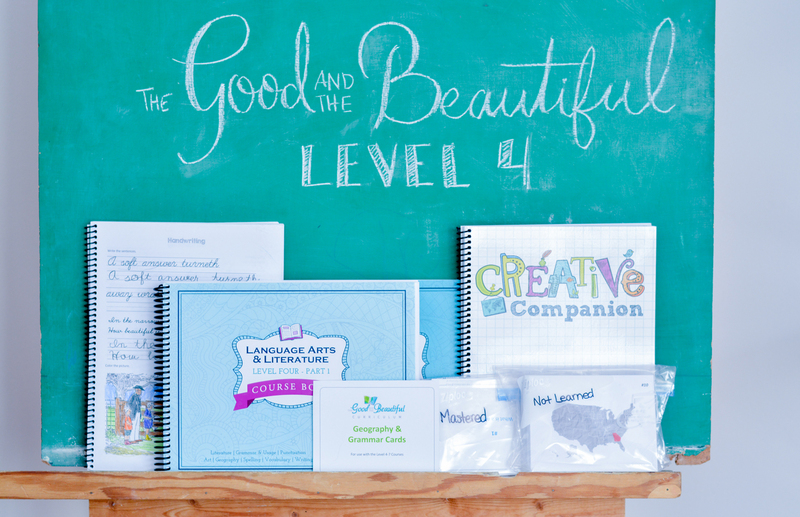 Level 1 would be an amazing start to homeschooling! Pre k for my littlest guy! I’m planning to switch to the good and the beautiful for my daughter next year. I would love level 6! I would want level 3 or 6. Thanks for the giveaway! Would love to try TGTB!! I would choose Level 2. We are using Level 1 for my daughter right now, loving it!!! I decided to purchase part of the kindergarten program for my daughter. She love it so much, a week later we decided to buy the prep Kindergarten for my son! We’d like level 6. Thank you for the giveaway. Level 1 would be perfect for my girly! I have fallen in love with the whole range of this curriculum from what I’ve seen & read so far. I’d probably choose level 2 (with level 1 a VERY close second). I would love to get level 2/3! I have four daughters who will begin in various levels. I would love to win kindergarten! Though it’s not quite ready yet, I’d most want the High School 1 (standard). If not that, then the Level 6. I would get level 2. Love this curriculum! I think I would pick level Pre-K, for my youngest daughter, but I plan on looking to see what level my oldest son would be in. Level 1! Been working on Level K and love it so far! I would choose Level K.
We’ve been using this program since las year and it has made all the difference in my experience as a homeshool mom and my girls’ perspective on learning! I would be interested in level 6! I’d love to get level 2! Hard to decide. Either level 5 or 3. We just started using TGTB this year. I actually switched midyear because what we were doing just wasn’t working. I have tried so many things but now the TGTB will be our go to for LA, History and Science! Thank you Jenny Phillips for helping make the learning easy and enjoyable! Level 3! Already using 2 and 4 and love it! We love this curriculum! Level 3 would be such a wonderful blessing to have! This is our first year homeschooling and we are loving TGTB! Thank you for hosting this awesome giveaway and I look forward to checking out more of your blog! I would love level 4!! Level 4 for my daughter! Level 6 would be AWESOME!!! I’d love Level 2 or Kindergarten. My two are currently finishing up Primer and Level 1. I love this amazing, thorough, yet simple to use curriculum. I love how gentle it is, while still being challenging and engaging. I will need Level 6 and Honors High School 1 for the next school year. Level 2 would be amazing! I would totally get L.A. level 2. We love TGTB! We would love love level 2!! We have level 3 and love, love, love it! We would like level 4! I would choose level 4. This curriculum has been a life changer for us…so thankful! I would choose level 4 for my oldest daughter or level 2 for my youngest daughter. I would try level 4! I would like to win the Kindergarten curriculum! Thank you so much for sharing your thoughts on the curriculum! I have been pouring over reviews of The Good and the Beautiful and have decided it’s the direction we are going to take next year. 1,2,3 or 4! I have 4 homeschool kiddos that we are starting this curriculum with next semester! I would love to try level 4. I would pick Level K for my five year old! I just recently found The Good & The Beautiful curriculum and I’m in love. I can’t wait to use it! I love this curriculum. We tried MFW, timberdoodle, and sonlight but this one has been everything we are looking for. We have history 1, pre-k, level 1, typing, and two levels of handwriting. Next time I’m getting science too! If I won I’d pick level 2 in LA! Level 1! What an amazing giveaway! This looks like a great program and your enthusiasm for the good and the beautiful makes me want to try it! I would start with level 1! We would love the Pre-K or Level 1 curriculum! I just started using the good and the beautiful also and LOVE LOVe It!! I would get level 3 or 4. Level 2. My kids are already doing level 1 and we all really love the program. I was piecing curriculums together before finding TG&TB. I was ready to give up on homeschooling because I just couldn’t figure out how to stay ahead of things. Then TG&TB came along and saved my day. I have loved every aspect of this curriculum and it has made all of us happier and better. I’ve been using TGTB this year and love it! If I won I would want Level 4. Level 1. We are so excited about this program! The Pre-K level would be awesome for my youngest. Honors High School1 in Language Arts! Cannot wait for that one to come out. But if not that one, Level 4. I would love level K or level 3! Level 1 would be perfect for us if we won! I can’t wait to try this! TG&TB looks so amazing! I would love level one! We use this curriculum. It is amazing! I would get Level 1 or 6. I love The Good and The Beautiful. It’s brought such peace and joy to our homeschool. I would choose level 7 because we’ll be needing that soon. I would love to try Level 1!!! I would get level 5 for my son. he is half way through level 4 already! Level 1 would be such a blessing. We are currently working through K and loving it! I have just started using this with my oldest. I am very excited to use this with my other two as well. I would love level 3. I’ve looked at this curriculum several times. It looks great! I would need practically every level since I have 6 kids… but I would likely start with level 1 to get started correctly. We have used level K, 1, and 2 and love them! We would love level 3! This is my first time hearing about this curriculum. I love the open and go aspect! This is such a generous offer! I would love level 2. Does History Level 1 count? haha I’m loving the LA Level K Primer and already purchased Level K, so we are onto Level 1. I’ve been contemplating this curriculum for a long time! I’d either get my daughter level one, or my sons level 6! I have Level K printed out and should be ready to start with it this spring/summer. I can’t wait. So, I would get the Level 1. I am using this with my kids and would love the next level! I am excited to start the homeschooling process with my 3 year old. We would love preK! I love TG&TB curriculum! Already using the lower levels so Level 1 would be amazing to win!!! Level 1! Ive wanted to look at this program, so glad you’re going to talk about it! I would love to try Level 1. I love The Good and the Beautiful. My daughter uses it for Level K. We would love it for 1st grade as well. I Love TG&TB. Would love to win LA (Pre K, Level 2 or Level 4), Typing (level 2), Handwriting (level 4 or 6). I use the history, nature notebooks, creative writing books and love her book list. But of course our favourite is the LA. Love this curriculum! We would order level 5 next. Thank you! I would want to try the PRE-K! I would love Level K! I have not used this curriculum but have only heard how amazing it is! I would definitely try level 3. I think we would try level 2. We would love level 6 or the History Year 1! I am really excited to try the History! Awesome giveaway! This program has been on my radar for a while. It’s great to read your thoughts on it. Thanks! Oops, I think I’d love to try level 4. I would love to start my daughter on Level 1 Language Arts! We are currently on Level K and my daughter and I love it! I’d love to get grade 1. We would love level k or level 2. I would love to win level 6. We are using it so far and love it! But, we need level 6, 3, and 1 for next year, so I’d love to win Level 6! Are you still using Spelling You See, or just using TGTB spelling? I just received the prek LA curriculum♥️ I would love to get the kinder or level 1 for two of my kids! I’ve been eyeing this for awhile now. Thans for the great review! I would probably choose level 2 or 3. We would love to win Level 2! I would love either level 5 or level 6. LOVE THIS CURRICULUM!!!! I use it for everything except math, but my 4-year-old will probably use it for math in the future! Such a beautiful curriculum. We are just starting our homeshool journey and would like Level K Primer. We would love any high school level if we won. I’d be using level 1 with my 6 year old!!! Hard choice but I think I would go with level 1. I’d love to win the level 3 set! The Good and the Beautiful curriculum is so amazing! I would choose level 2. I just received level 1 and love what I am seeing. I can’t wait to get started on this! We would LOVE level 2!!!! I would buy level 2! I’ve got a 6 and 8 year old I’d love to start the Kindergarten level with. I would like to try level 3 for my son. I ADORE this curriculum! I would be torn between prek, 2nd,and 5th. I’m so looking forward to their high school levels and math. 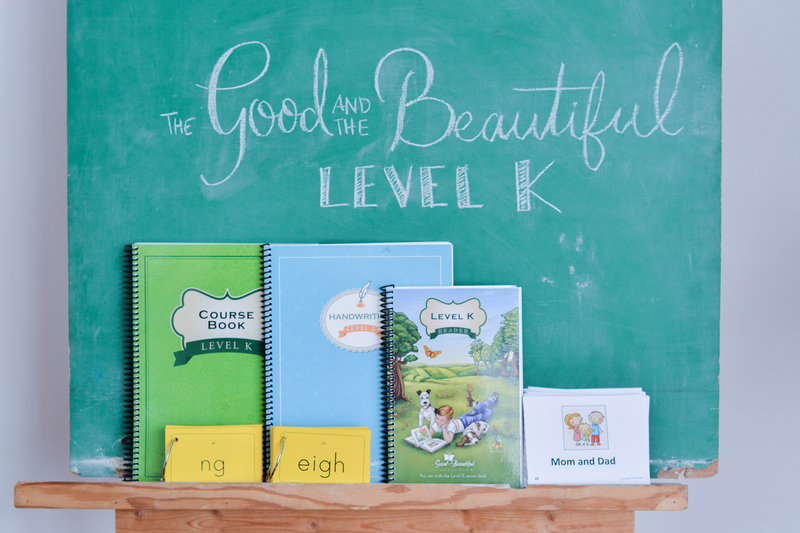 We already LOVE The Good and the Beautiful, and would be blessed to receive either level K or level 2! Would love to have level 6!! We are currently using TGATB for LA, science and history. We love it! Would love level 6! Awesome giveaway! Would LOVE to get a Level 2! I would love level 2! We started Language Arts level 7 and History Year 1 last month and we love it! I would love to have the High School 1 curriculum when it comes out in June 2018. I have tried many curriculums, but this is the first that my kids say they feel like they are actually learning new things every day. I would like level K! I’m getting ready to start this curriculum in our home. thanks for the review and giveaway! We’ll be needing level 2 shortly! We would love to start with Year 2, I think it would be a perfect fit for the ages we have! I have watched many of your videos and LOVE that you have found G&B. I think it is a lifesaver for large families. We finished Pre-K and both my son and I loved it! We just started K-Primer and like you I want to cement the foundations. I would love to win the Level 1 as this summer we hope to get to K and then start the Level 1. I’ll definitely check out this curriculum. I am so thankful you introduced me to this curriculum! Level 2 is where we would begin! Level… ALL OF THEM 😉 But I guess we would start with level 1. Oh my goodness! 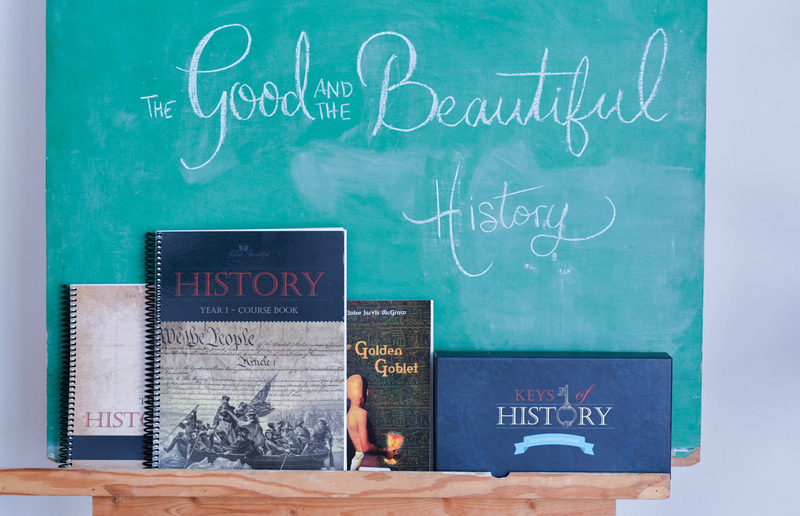 We LOVE The Good and the Beautiful curriculum! I would want to win level 4 or K Primer! What a great review! That is how I feel about it too. I have loved everything that I have tried. For so many years I tried to make this, not knowing exactly how to do it. I was almost ready to give up homeschooling thinking that it was too hard and too much work to do it all. This curriculum has helped me so much. Ha ha forgot to say which level I would like. 😀 Level 1 or pre-K. It is all so beautiful! Level K! We are using K Primer right now with my 5 year old and we LOVE it, can’t wait until her siblings are old enough to do this curriculum too! This is so AWESOME!! I would love Level 5. TGTB is what I’ve been hoping and praying for and fits exactly with our values and beliefs. I can’t even explain how perfect it is for my children! Thank you for doing this wonderful giveaway! Kindergarten for my new 5 year old! My daughter is about to finish up the Pre K Primer and loved it! Winning level K would be great! Thank you for this giveaway. We would love to try level 3. I would really like Level 1. We discovered The Good and Beautiful and we love it! We would love to win! I would love Level 1 or Level 4! I would love Level K if I win, thanks for the opportunity. Level 1 looks like it might be perfect for us. My daughter is just about to start Level 1 after finishing K and I plan to start my son on PreK in the fall. If I won I’d pick one of those up. I also have 5 children and we have started using The Good and the Beautiful this year. I am really loving it. I want to buy a lot right now, but can’t afford it all at once. I am buying it little by little. I would love level 5 of the Literature or if you are giving away any History we would love Year 2,3,or 4. I would love to get Level 1! We love the good and the beautiful! I only wish I found it when we started homeschooling three years ago! We have used the Language Arts as well as the History. I am looking forward to trying the science next year. We would love level 6! Level K for me! Yay! Level K, pre K, 1 or 2! 7 kids haha!! Level 2 or Level K!i need both! I just recently discovered this curriculum and I’m so excited to start using it. I think it will be a great fit for our family. I would choose either Kindergarten or Level 6. My daughter is doing the kindergarten book right now so we would get the level 1! I would love to try the Level 2! I would choose level 2! This is such a great program! I would go for the Kindergarten level for my second daughter! Level 1 would be awesome! I think I’m falling in love again! we would be starting curriculum at level 2! I looked into this curriculum after seeing a bunch of your posts on Instagram this fall and we love it too! My kids are currently working on levels 1 and 2 so I’d like level 3, if I won. Either way, thanks for introducing our family to this amazing curriculum! We would be thrilled to try level 4! We would love to try level 2. I would LOVE Level 3!! I have been looking at Good and Beautiful and would love to try it! I would love level 8! Or 5! I would choose level 6 or 7. I have never heard of this curriculum, but after your post/review, I am excited to try it out. If I had to choose, I’d like to try level 4. Thank you! Would love to try Level 3. We’d like to try a high school level. I would love to try level K with my daughter! Level 6 or it would be me great to get started in the high school level when they are released. I am so much wanting to do this next year with my daughter, she is 4th grade now. My son is going into 9th grade, so they don’t have nothing yet for him, but I am watching for something when it comes out. We have a few things from the Good and the Beautiful. Would love to add some more!! I would love to start with Level 1! I’ve been hearing about this curriculum and was so pleasantly surprised to see this today!! I would get level K or level 1. This curriculum is my very favorite! I would love to win level 2 or level 6. I’d like to try level 2 as my son is almost done with level 1, and level 5. I’ve been really interested in this! Want to start at the beginning with level 1! I would choose level 1. OH I would love to get Level 2! 🙂 We are just starting out on our journey and I would love to inspire learning in my son! Level 2! We are working on finishing up Level 1 and would love the next level! Thank you for this!